Gun-control advocates are learning the downside of getting their way. 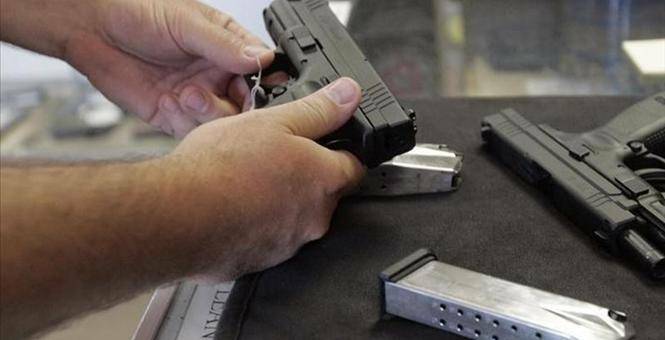 Recently, a federal judge struck down the District of Columbia’s ban on the carrying of concealed handguns. Anti-gun forces have been losing in legislatures for a long time. Now they are finding that even where they win, they lose. Washington used to have the strictest gun laws in America. Besides the prohibition of concealed guns, all firearms had to be registered and handgun ownership was forbidden. The restrictions had no evident effect on crime: In the 1990s, the nation’s capital was known as the murder capital. But they invited a legal challenge — a historic one, as it happened. In 2008, the Supreme Court invalidated the city’s handgun ban as a violation of the Second Amendment. It was the first time the court had recognized that individuals have a constitutional right to own firearms for the purpose of self-defense. It was also a drastic shift in the court’s view of the Second Amendment, which for decades had been treated as a forgettable footnote. No one forgets it anymore. After striking down the law in D.C. — a special case, being under federal jurisdiction — the court overturned a similar ban in Chicago, ruling that the Second Amendment curbs the power of the states to regulate gun ownership. Prohibiting most guns was no longer permissible. Left unclear was what other regulations were allowed. The court said there is nothing wrong with barring gun sales to felons and the mentally ill or with keeping guns out of schools and government buildings. But beyond that was terra incognita. In most places, the rights of gun owners have expanded in recent decades. Every state now allows the carrying of guns in public, with the majority granting licenses for carrying concealed guns to anyone who meets certain qualifications. But where that prerogative is denied or greatly restricted, judges have begun to apply the Second Amendment logic to uphold it. First came a federal appeals court in Chicago, which ruled the state’s ban on concealed carry unconstitutional. If Americans have a right to use guns for self-defense, the court found, they logically must be allowed to carry them in public. “To confine the right to be armed to the home,” it said, “is to divorce the Second Amendment from the right of self-defense” affirmed by the Supreme Court. This year, a federal appeals court in San Francisco took a similar stance. “Carrying weapons in public for the lawful purpose of self-defense is a central component of the right to bear arms,” it concluded. At least three other federal courts have declined to reach that conclusion, which means that eventually the Supreme Court will have to settle the matter. A court that has gone this far in giving force to the right to keep and bear arms is not a good bet to stop now. But gun-control supporters shouldn’t take the prospect too hard. Concealed carry is the overwhelming norm already; these rulings have added it in just a few places. Even if the Supreme Court said the Second Amendment doesn’t mandate the policy, it would persist almost everywhere. In any case, it’s not something to worry much about. One thing we have learned from the spread of concealed carry is that few people take advantage of it. As of 2011, there were about 8 million people with permits — about 2.5 percent of the population. And most of them don’t pack most of the time. Florida State University criminologist Gary Kleck estimates that the average licensee carries a gun only 138 days per year. Those who do carry rarely misuse them. There was a recent episode in a Chicago suburb when a 56-year-old man with a permit blasted away at a fleeing armed robbery suspect, forcing a cop to take cover. But that’s the exception. Texas has more than half a million active licensees. In 2011, 120 of them — one out of every 4,325 — were convicted of any crime, according to the Texas Department of Public Safety. The state had 699 gun murders in 2011. But only three permit holders were convicted of murder. In practice, licenses to carry guns in public have allowed law-abiding citizens to take steps they see as essential for their safety, without putting their fellow citizens in danger. It’s people who lack licenses you have to fear.